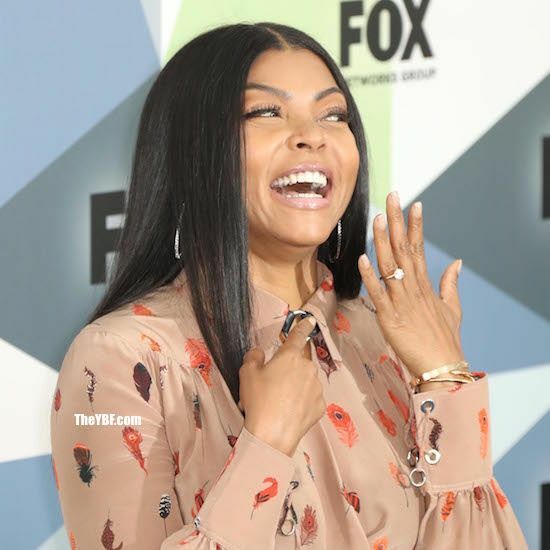 The newly engaged Taraji P. Henson was back at work today promoting the renewal of "Empire" at the Fox Upfronts. 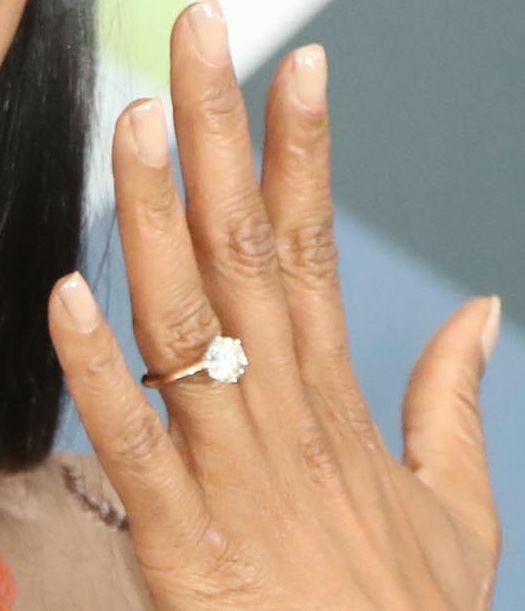 And that means it was the perfect time to floss on 'em with her new engagement ring. Her new fiance, former NFLer Kelvin Hayden, popped the question this Mother's Day weekend with a diamond engagement ring, and he didn't stop there. He copped matching Cartier bracelets for the both of them. The tv/movie star rocked both to today's FOX Upfronts at the Beacon Theater in NYC. Chick was all smiles in a spring-ready Altuzarra Fall 2018 dress and Louboutins, and you already know why. The bronzed beauty was fresh off vacay, and based on Kelvin's hot shots, we can tell why she has some pep in her step.